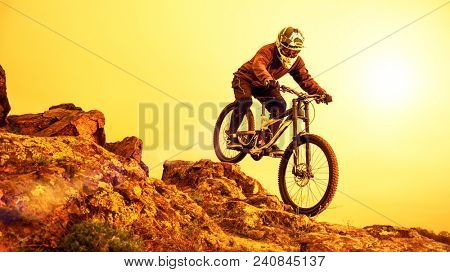 Professional Cyclist Riding the Mountain Bike Down the Rocky Hill. 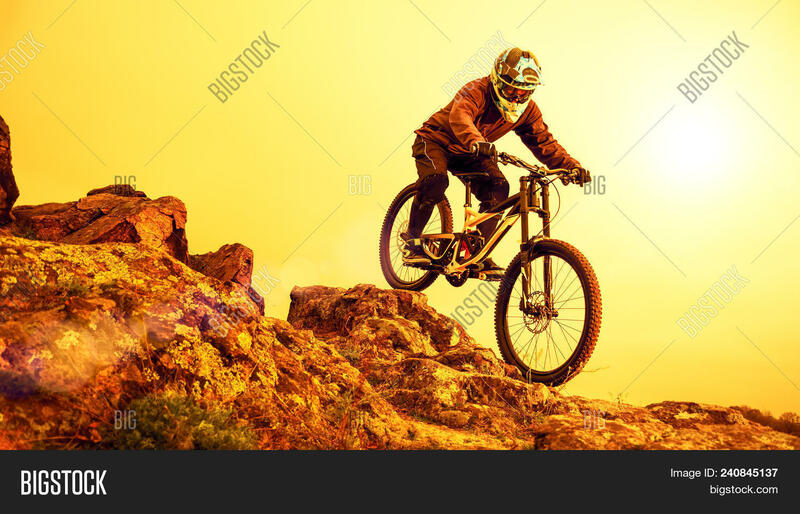 Extreme Sport and Enduro Biking Concept. Release: Signed model release filed with Bigstock.